She Writes Press, 9781631529870, 329pp. 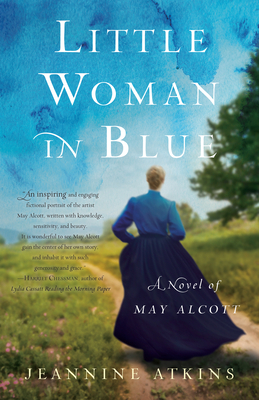 May Alcott spends her days sewing blue shirts for Union soldiers, but she dreams of painting a masterpiece--which many say is impossible for a woman--and of finding love, too. When she reads her sister's wildly popular novel, Little Women, she is stung by Louisa's portrayal of her as "Amy," the youngest of four sisters who trades her desire to succeed as an artist for the joys of hearth and home. Determined to prove her talent, May makes plans to move far from Massachusetts and make a life for herself with room for both watercolors and a wedding dress. Can she succeed? And if she does, what price will she have to pay? Based on May Alcott's letters and diaries, as well as memoirs written by her neighbors, Little Woman in Blue puts May at the center of the story she might have told about sisterhood and rivalry in an extraordinary family.